This company’s infused oils have flavors that can stand on their own, brightening the taste of your favorite foods while delivering high antioxidants and Vitamin E, which helps boost immunity, protect against the development of heart disease and helps maintain good cellular health. 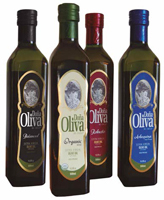 An easy way to improve your diet is to replace solid fats with olive oil whenever possible. 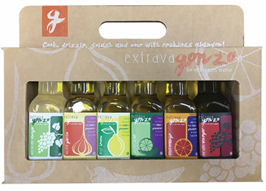 With extravaGONZO premium culinary oil, you’ll get even more healthful benefits PLUS the pure, clean, unique tastes that will rock your next meal. The offer Asian Oil, Roasted Garlic Oil, Meyer Lemon Oil, Blood Orange Oil, Jalapeno Lime Oil, Red Chili Oil. Balsamic Vinegars are also available in Classic Dark Balsamic Vinegar and Classic White Balsamic Vinegar. 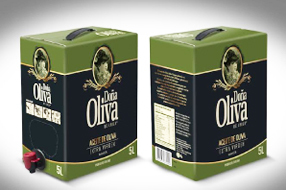 Doña Oliva is 100% Chilean extra virgin olive oil, from the best olive fields in Chile. It is produced with modern systems in compliance with the strictest quality controls. Our renowned team of expert tasters carefully selects fruit in order to obtain extra virgin olive oil with intensity, aroma, and exceptional quality. In order to reduce time between harvest and milling, our olives are immediately cold pressed in our on-site facilities preserving freshness, flavor, and aroma. Low acidity and peroxides assures optimum health benefits. Dona Oliva is now available in 4 different varieties: Original Balanced, 100% Organic, Robusto, and single variety Arbequina. Most of these are bottled in 250 ML, 500 ML, 750 ML, and in bulk. Beautiful labels make a nice presentation! 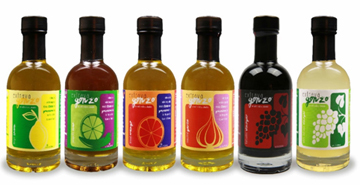 This Washington company produces pure varietal Grape Seed Oils in both 375ml and 150ml bottles, flours, and soaps. Known for its health benefits and high smoke point, grape seed oil is being used more and more by gourmet cooks and has gained popularity with the public. Use for stir-fries as well as on salads, as a dipping oil, and for grilling. Varietals include a Merlot, Chardonnay, and Riesling Grape Seed Oil, as well as infused oils such as Lime Riesling, Roasted Garlic Chardonnay, and Chipotle Merlot. Beautiful packaging, including informational hang tags and demo bottles, will help move these off your shelves quickly. For your baking try their Grape-Seed Flours accessible in four flavors. Their new addition of soaps are fantastic too! Select from Lemongrass Chardonnay and Lavender Merlot, both scents are available as a scrub also.